Your patio or deck is an extension of your home and while outdoors, it usually becomes the central part of your families outdoor activities. When you are in the market for a new and perhaps a more functional patio, contact us at Polaris Development and Construction in Los Angeles, California. If you live in the city, chances are you don't have much of a backyard and that is why a patio is essential. A patio can add appeal to your outdoor space. There are a lot of different design options for your patio. They come covered, uncovered, small and intimate or large, extending into the landscape of your homes backyard. Let us show you what we are able to offer to you in the way of a remodeled patio from Polaris Development and Construction. When considering a new patio, you do well to give your paving options some consideration. At Polaris Development and Construction we can offer you a variety of paving choices. Bricks provide you with a more traditional and more durable patio surface. The bricks of your patio can be either arranged over gravel or mortared into place. Pea gravel, mulch or loose stone are some of the simplest patio materials and the least expensive. Patios built with these materials are easily replenished and can provide great drainage if your yard is usually damp. Patio paving stones and flagstone are also materials used to build patios. They come in a variety of shapes and sizes, colors and designs. Customers are able to select their own bricks from a stone store or they can allow the experts at Polaris Development and Construction to select them. 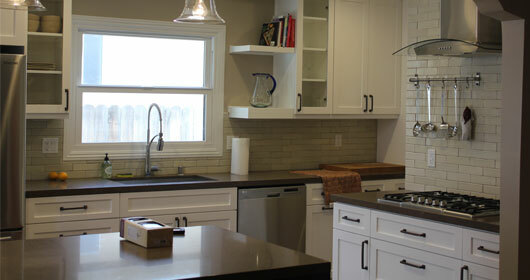 When we select your stones it is more likely that the style and colors will match perfectly. Exterior tiles are a great option because of the various tiles available. Some of the exterior tiles that are available to you at Polaris Development and Construction are synthetically derived tiles, terracotta colored tile and porcelain tile. Stained concrete allows you to select from a variety of different colors and chemical stains. When selecting a stained concrete, we encourage you to choose a color that is slightly darker than the color or your choice. This is because the concrete will begin to fade over time, if you have a patio that is not covered. Polaris Development and Construction offers superior patio service and exquisite craftsmanship which begins with our design of your patio to your completed patio. We take our time to make sure that your patio or deck is solidly constructed so that you never have to worry about it falling down, causing injury or harm to anyone who may be using it. Some of our competitors make claims of what they are able to do for you but hardly ever deliver what they promised they could. At Polaris Development and Construction you can be sure that we always deliver on what we offer. We stand by our work and offer guaranteed satisfaction. Quality service is our number one concern when building your outdoor patio. This is one thing we definitely don't cut corners on. Polaris Development and Construction has been in business for years offering homeowners the service which makes us the premier service provider in Los Angeles County. Why not give us a call when you are considering having a patio remodeled or having a brand new patio designed and built. At Polaris Development and Construction we offer you a complimentary, no-obligation consultation. This means that we will be happy to discuss the many options that you have available for your new patio. Our associates will patiently take the necessary time to help you choose the materials that they believe will be most suitable for your family needs. Call us today at Polaris Development and Construction for the patio you could be enjoying by the weekend. We are always happy to offer you our service guarantee. The Polaris Development and Construction area encompasses Greater Los Angeles County, Venture County and Orange County. We dispatch our service professionals to all of these areas regularly. Contact us today for your no-obligation, consultation and estimate.